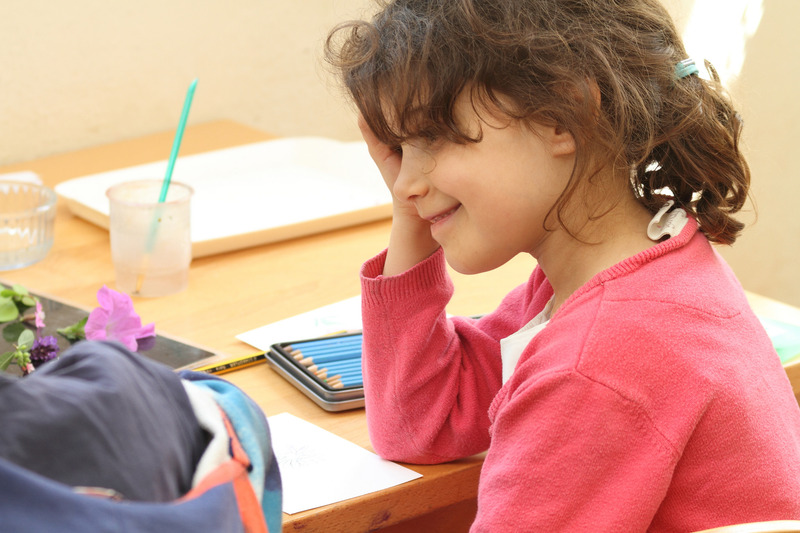 The idea for The Montessori Place started when Rob and Paul were working at the Maria Montessori Institute (MMI) in London, the UK’s main Montessori training centre. Alongside their day to day work with children in their respective ‘Children’s Houses’, they were both heavily involved in developing a vision for the MMI in 2020. They spent many months consulting parents, interviewing Montessori teachers, researching other educational approaches, and exposing themselves to the richness and diversity of the global Montessori movement. Over this period, it became clear that the word ‘Montessori’ evoked in most people’s minds the picture of a nursery for 3-6 year olds. Although a true image, it is not the whole truth: Montessori is in fact an approach to raising children: a natural, coherent approach stretching from conception all the way to adulthood. Could a way forward for the Montessori movement in the UK be to share with parents ‘a Montessori way’ of bringing up children, especially between the ages of 0-3? Once the strategic plan was written, Rob and Paul decided to take it forward. They started to build a small team of committed Montessorians, to create a place that offered ‘The full Monty’ for children and their families in the first 12 years of life. From this foundation they then hoped to offer similar services up to age 18. The first person they spoke with was Laura, whose gentle manner with the children shines through. Rob was working with her in a Children’s House in Notting Hill while Paul had worked with her in a Children’s House in Hampstead. Laura leapt at the chance of coming to work at The Montessori Place down by the sea in Hove. Laura grew up by the sea in Venezuela, and was under the impression that the Sussex coast would be much the same. Next Rob’s mentor Karen told him that anyone thinking of starting a Montessori place near Hove had to get in touch with Sarah. Sarah had been employed by Karen and worked with her in the Hampstead Children’s House moving to Lewes to raise her children Stanley and Rosy. When Rob and Paul met Sarah, it was obvious why Karen spoke so highly of her. It wasn’t long before Sarah became the fourth member of The Montessori Place team. It is surprisingly hard to find the right property in the right place with the right planning permission. Rob, Laura, Sarah and Paul spent many hours pouring over maps calculating 1-mile circles around different parts of town. They followed estate agents to all manner of unsuitable properties in the right location, to suitable properties in the wrong location before spotting an interesting looking place on the Cromwell Road. It was pretty run down and had nurseries on either side, but something about it just seemed right. A proper little house, in need of some love, and reachable from all over town. Many letters, phone calls and meetings later the house belonged to The Montessori Place. The children and parents refer to it as “the House”, and so do we. The House is on 45 Cromwell Road, in Hove, across from the Sussex County Cricket grounds. Most buildings are designed for adults. Children in these environments are like tourists in a foreign land: never quite at home. 45 Cromwell Road used to be a language school for adults. We have stripped it out and renovated it with love – each day it welcomes small feet, curious minds, big hearts, and active hands.